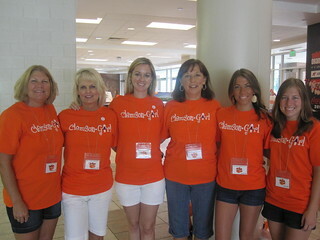 Have you had the opportunity to attend Dabo Swinney's All In Team Foundation Ladies Clinic? 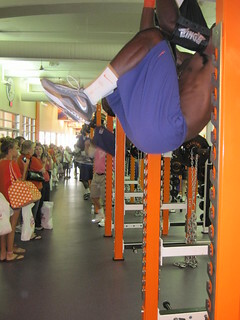 This event is a must-have on every Clemson Girl's bucket list. 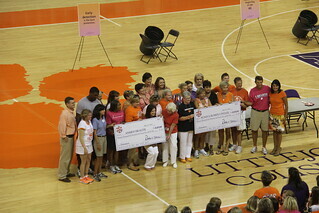 But the best part about this event is that it not only educates Clemson Girls on breast cancer detection, but also helps raise A LOT of money for breast cancer education and research. 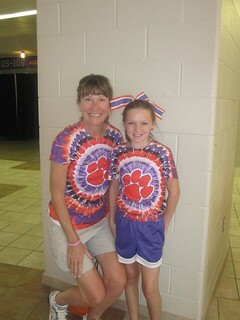 A worthy cause that is dear to Dabo's and his wife Kathleen's hearts. This year's event is Saturday, July 20th. Registration starts at 7:15am and the day's events go until 4 p.m. 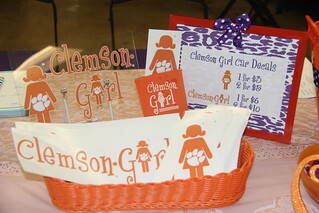 The cost is only $60 ($15 will be matched by Dabo and donated to breast cancer research) and includes a free lunch. The event is open to ladies of all ages. So bring your sisters, your mother, your daughters, your girlfriends -- it's a great way to spend a Saturday and probably some of the best $60 you will ever spend. It's not too late...you can still register! They are expecting record numbers in attendance this year, but they do have to limit attendance, so act fast before it books up. 9. 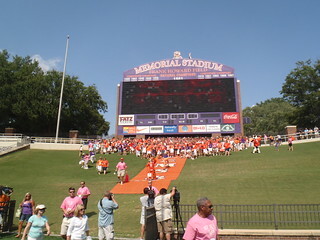 Attendees get to run down the hill in Death Valley at the end of the day. Then you pose for a group photo that you can purchase later. Remember this guy? 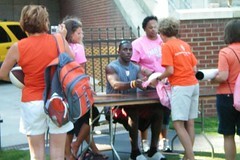 You never know whose autograph you might get! 7. 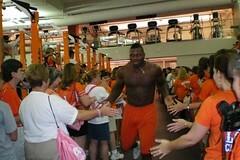 You never know what to expect at the Ladies Clinic - from dancing contests, visits from the Governer of South Carolina, musical performances from football players (did you know Tajh Boyd could rap? well...he tried), and other hilarious surprises... see below! 5. 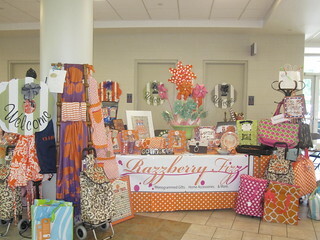 Clemson Girl will be there selling all of our Clemson Girl 'swag'. We will have a table set up in the shopping section this year with lots of affordable goodies for you to purchase - including our decals (perfect for car windows, the back of your laptop or iPad, coolers, etc. 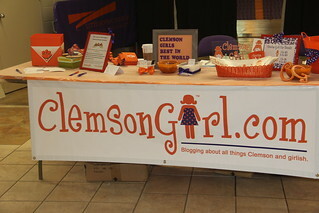 ), koozies, and our "Kiss Me I'm a Clemson Girl" t-shirts! 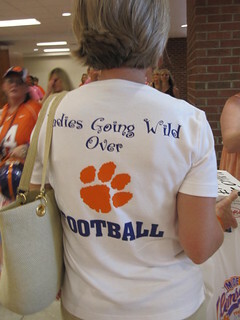 We will also be selling a brand new Clemson Girl shirt that you will definitely want for the first game to keep cool. We only have a limited number, so make sure you come find us before your size sells out! We can't wait to meet you. 4. 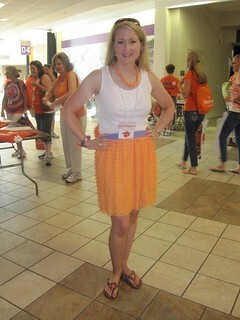 You will get lots of Clemson gameday fashion inspiration. 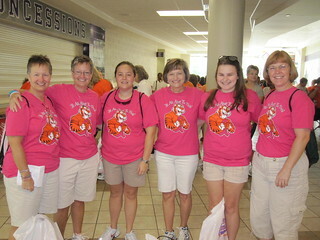 Clemson Girls come to the Ladies Clinic decked out in their Clemson gear. 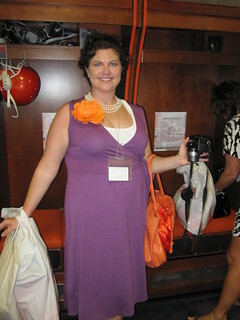 Whether it's cute gameday dresses or custom designed t-shirts just for the Ladies Clinic, it's fun to see what all the attendees are wearing. 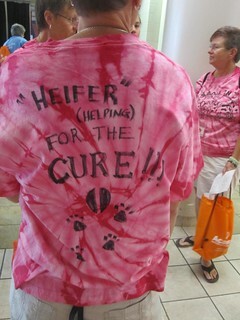 The Ladies Clinic even gives out an award for best designed t-shirt. 1. You will be supporting a wonderful, wonderful cause! 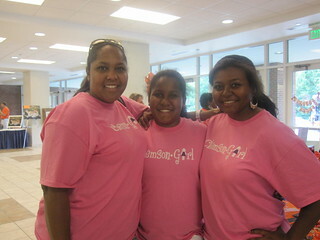 Each year, the Ladies Clinic raises more and more money for breast cancer research. Just your registration alone helps the cause -- but the day is filled with opportunities to do even more to help raise money. You leave the event not only having had a fabulous time, but you leave with a full heart knowing that Clemson Girls can come together, celebrate Clemson football, but also celebrate one another and support such a worthy cause that affects so many of us. Now really.... what are you waiting for? 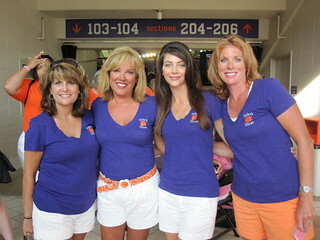 Now...Clemson Girls who have attended the Ladies Clinic before, comment on this post and tell us your favorite part about attending Dabo Swinney's Ladies Clinic!